It’s been a little while since I’ve posted on here but I was really keen to blog about pavement parking as it can be a big issue for many people and it’s a subject which we get lots of enquiries and complaints about. Pavement parking can cause real issues for a number of people, particularly pedestrians, pushchairs and wheelchair users as it often affects their ability to use and keep to the safety of the pavement. If a vehicle is parked on a pavement and there are parking restrictions on the adjacent highway, then it is something which Civil Enforcement Officers like me can enforce and we can issue Penalty Charge Notices but this would be because the motorist is contravening the restrictions on the highway rather than because of the pavement parking itself. For example, in the photograph below, a vehicle is parked on a pavement adjacent to double yellow lines and as there isn’t any activity taking place which would permit stopping on double yellow lines (e.g. unloading/loading of goods, passengers getting in or out of the vehicle etc.) a Penalty Charge Notice can be issued. If a vehicle is parked on a pavement and there aren’t any parking restrictions on the adjacent highway or if there is a significant obstruction being caused, then this would fall under the responsibilities of the Police who would consider whether this was ‘wilful obstruction of the public highway’, which is an offence. In such instances you can dial the non-emergency Police line 101 who will deal with such matters at their own discretion. Who would you report this to? I hope the above is helpful and as always, if you’re a motorist, please park safely, legally and considerately. With another Bank Holiday just around the corner, I thought I’d share some information about Bank Holidays and parking and waiting restrictions with you all. At the NEPP we often get a lot of enquiries from members of the public wanting to know if waiting and parking restrictions apply on a Bank Holiday and many people presume that they don’t apply. However, most parking and waiting restrictions do apply on bank holidays as these are some of the busiest days on the roads and there is still a duty to manage the highways and ensure that roads and car parks are safe and free from congestion. If a parking or waiting restriction does not apply on a Bank Holiday then this will always be clearly signposted. The other thing to be aware of at this time of year is seasonal parking and waiting restrictions. These are usually found in places which require more parking management during the peak season, such as tourist hot spots. Where these restrictions apply, signs detailing the dates they apply to (like the example below) will exist. Please check all the signage before parking or you might return to your car after a lovely day out and find you’ve been issued with a Penalty Charge Notice for parking illegally which I’m sure none of you want. I hope you’ve all found this useful and have a great bank holiday! P.S – You may find some of my other posts about Seasonal restrictions and Bank Holidays listed below useful too. Bank Holidays – just another day? When could you receive a penalty charge notice? The blue badge fault was…..
A big thank you to everyone who took part in last week’s blue badge poll. As promised, I can now reveal the correct reason as to why the motorist was given a Penalty Charge Notice was that ‘the blue badge was not clearly displayed’ so well done to all those who answered correctly. When using a blue badge (disabled badge), the badge must be clearly displayed in a vehicle, as per the terms and conditions of use in the blue badge booklet, so all the details can be checked by a Civil Enforcement Officer (CEO). Blue badges are only valid for 3 years, so the expiry date of the badge must be clearly visible along with the parking clock set to the driver’s time of arrival. Blue badge holders are permitted to park on single or double yellow lines for up to 3 hours, in off street car parks (for how long will depend on the car park operator), designated on street disabled bays and limited waiting bays with their badge and clock displayed accordingly. If the details of the blue badge are obscured or the clock is not set correctly the vehicle is then parked in contravention of the restriction in place and may be given a Penalty Charge Notice. At the weekend I met up with a friend who I hadn’t seen in a while and we got talking about work, as you do, and my friend mentioned that for weeks they have been driving past a van on their way to work which they think has probably been abandoned. My friend asked me who they needed to report this to and it got me thinking that this would be a good topic for this blog as experience tells me that many local people assume they should report abandoned vehicles to the North Essex Parking Partnership (NEPP), however this isn’t the case. In most instances, abandoned vehicles should be reported to the local borough or district council where the vehicle has been abandoned. Councils have the permission and are able to deal with abandoned vehicles, including finding owners, giving penalties and vehicle disposal. However, if an abandoned vehicle is on a road and in a dangerous position or condition, then this should be reported to the Police. The only occasion when the NEPP would get involved in removing an abandoned vehicle would be if the vehicle had been left in a car park which it manages, in which case the NEPP would work with the relevant local borough or district council to deal with it. If you ever wish to report an abandoned vehicle, you can do so online here. This week, I thought I’d blog about one of the NEPP’s most common complaints – commuter parking. 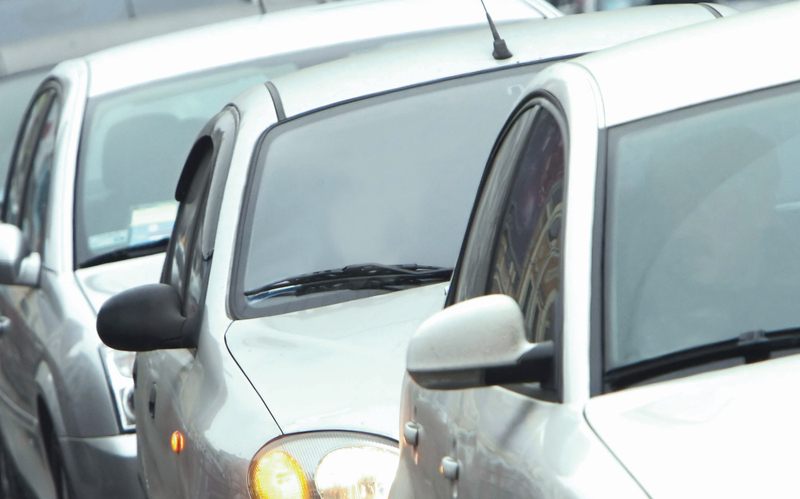 We often receive complaints about how and where commuters park their vehicles whilst they’re at work all day as they’re sometimes restricting property access, causing congestion and in some cases a danger too. If the vehicles are parked dangerously, causing an obstruction or on pavements, then this would be a Police issue. If the vehicle is parked on a dropped kerb or in contravention of a parking restriction, the NEPP can carry out enforcement action. However if there aren’t any parking restrictions and there aren’t any other parking contraventions taking place, we’re unable to take any action. If residents of businesses in north Essex believe that having a parking or waiting restriction in place may address this (or any other local parking problem) requests for these should be made to the NEPP. Anyone wanting parking or waiting restrictions needs to complete Stage 1 of the NewTRO Requests Form and demonstrate there is local support, including from the local Ward Councillor. Once completed, the request should be emailed to techteam@colchester.gov.uk for it to be reviewed and scored based on key factors including the level of local support, potential benefits and impacts. The request and the scoring will then be referred to the Partnership’s Committee to prioritise and decide whether it will be progressed. The NEPP does receive a lot of requests and with limited budget available it needs to focus on progressing the schemes considered to be a high priority. For all the necessary steps to be completed, the entire process can take up to 24 months. Most kids have gone back to school this week and I’m sure lots of you will have noticed the roads and parking spots are busier around school start and end times again. For some of you this may be your first term of having a child at school and doing the school run so I thought I would use this week’s blog post as a refresher on parking near schools. Most schools in north Essex have parking restrictions outside and these include ‘Keep Clear’ and yellow zig-zag markings which are sometimes extended with a single yellow line. 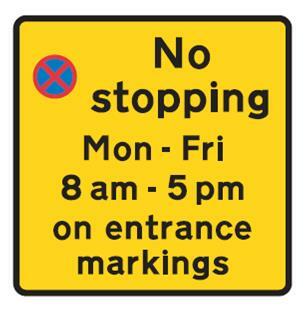 These markings have no stopping signs next to them informing motorists of the restriction and the times it applies (the times are normally school start and end times e.g. 8.30am – 9.30 am and 2.30pm – 4pm). Cars seen parked on a yellow zig-zag during the restricted times shown on the sign will instantly be issued with a Penalty Charge Notice (under Contravention Code 48). If only a single yellow line is present, a 5 minute grace period is normally given to motorists before a Penalty Charge Notice is issued, except where safety concerns outweigh this. The NEPP takes its parking enforcement role outside schools extremely seriously. The parking restrictions put in place are not just there to keep the roads free from congestion but to also keep them safe for all road users. 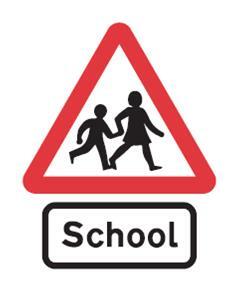 Safety outside schools is paramount as there are children crossing roads and getting in and out of vehicles, plus the number of vehicles parked and the fact that drivers are usually in a rush means there is a high risk of an accident. As we head into autumn and the darker mornings and afternoons are fast approaching, visibility is reduced and parking safely is vital. Whilst trying to park as close to the school as possible, some drivers resort to parking on pavements, dropped kerbs or blocking residents drives which means residents are unable to return to/leave their homes and other road users such as pedestrians or wheelchair users are unable to use the highways safely, increasing the risk of an accident. I do understand that people are often in a rush and want to drop off and collect their children as quickly as possible, but parking on these markings is unsafe and negligent (as well as illegal). Alternative parking is usually available only a few minutes away and helps keep the roads safe and free from congestion at what is, for most people, one of the most stressful times of day. If you would like to find out about other school travel options, please visit Essex County Council’s website. This week I thought I’d take a break from writing about specific parking matters and tell you a bit more about my role as a Civil Enforcement Officer (CEO) with the NEPP. Last autumn, the NEPP offered its enforcement staff the opportunity to become Police Accredited under the Community Safety Accreditation Scheme (CSAS). This is a voluntary scheme under which Police Chief Constables can choose to accredit people employed in roles which involve maintaining and improving community safety e.g. park and neighbourhood wardens. Once they’re accredited these staff have additional but specific powers to help them in their community roles (so in my case, powers which specifically relate to my role in parking). Some of my colleagues and I took this offer up and have now been through the vetting process, done the training and passed the assessments. Once we’ve been presented with our Essex Police Accreditation identification badges and armbands we’ll be able to use the additional powers we’ve been given to increase community safety and help reduce crime and disorder. I’ve really enjoyed the training and work involved in becoming Police Accredited and like knowing that once I’ve been issued with my national accreditation badge I’ll be able to make even more of a difference in helping to keep our roads safe and free from congestion – after all that’s what being a CEO is all about.